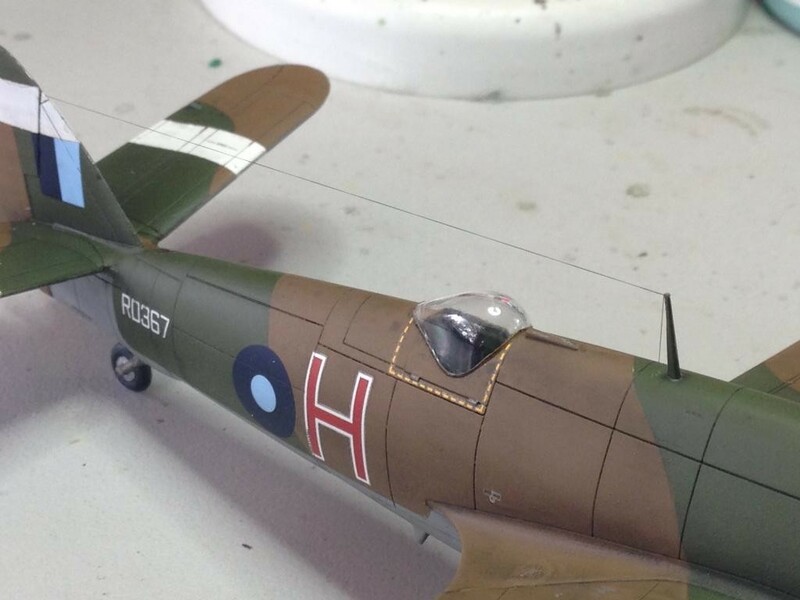 Stellar workmanship, sir….fabulous attention to detail. Really nice job. Beau…tiful job ! Thank you. Great looking build, and love the weathering. 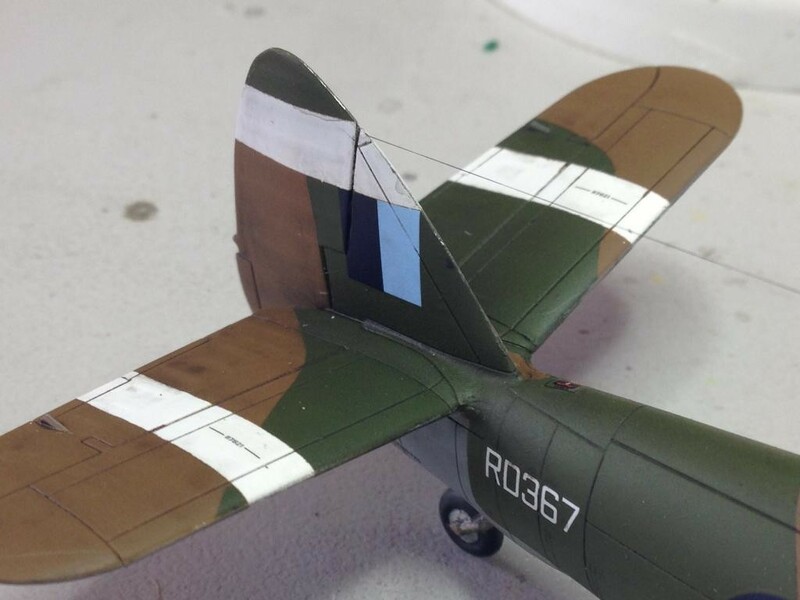 How did you achieve the chipped bronze look on the cowling stripes? The collector rings and exhausts were first painted with MM Aluminium enamel. 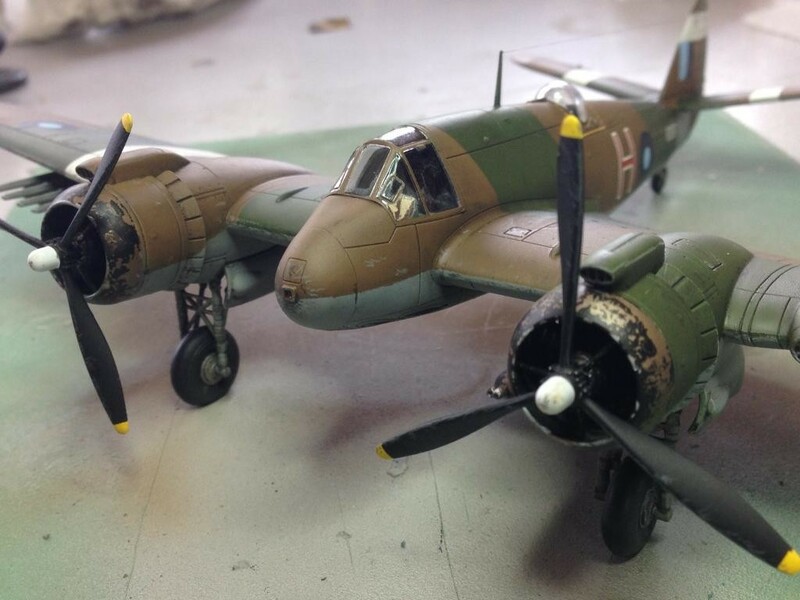 Once dry they were airbrushed with a very very dilute mixture of MM flat black and Flat brown. 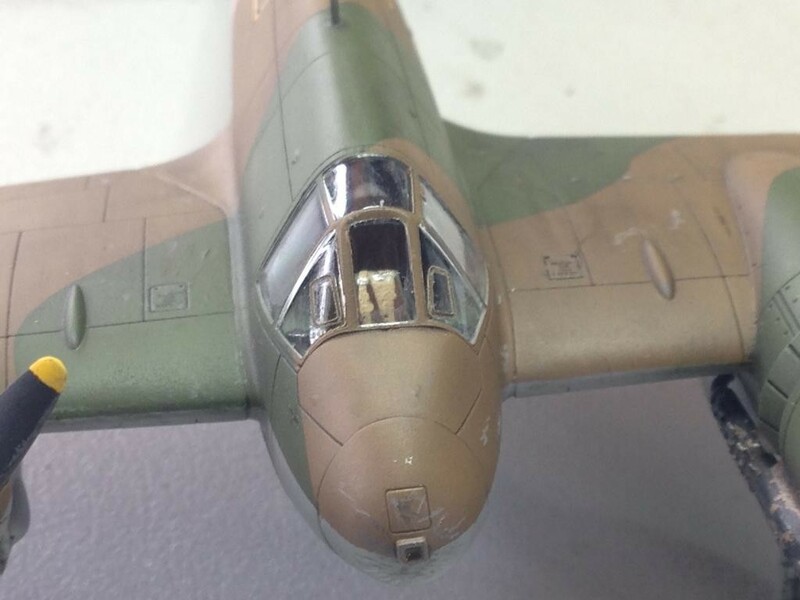 This was misted on in a number of light coats until that “burned” metal look was achieved. Once this was dry, I used AK Interactive AK 088 worn effects to coat the entire surface. I let that set up for a day or so (I like to err on the side of caution) then lightly coated with Tamiya X1 (the only acrylic black I had at the time). Once again I let that settle and then took to the collector rings with an old paint brush with cut down bristles, a toothpick and tweezers to create the worn effects. Coated with Pledge aka Future and then MM Dullcote from the bottle through the airbrush as general finishing. Well presented, Kent. Unusual markings, too. The wear on the cowls is convincing. EXCELLENT!!! 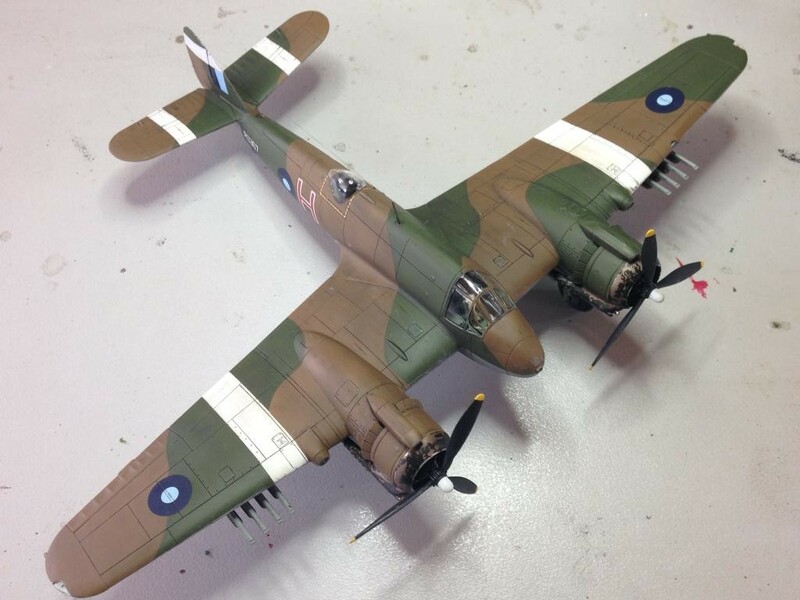 Airfix is cutting out a niche for itself as one of the leading kit producers as of late and is raising the bar. Their red box offerings are absolutely marvellous. You did an outstanding job on this one Kent!!! 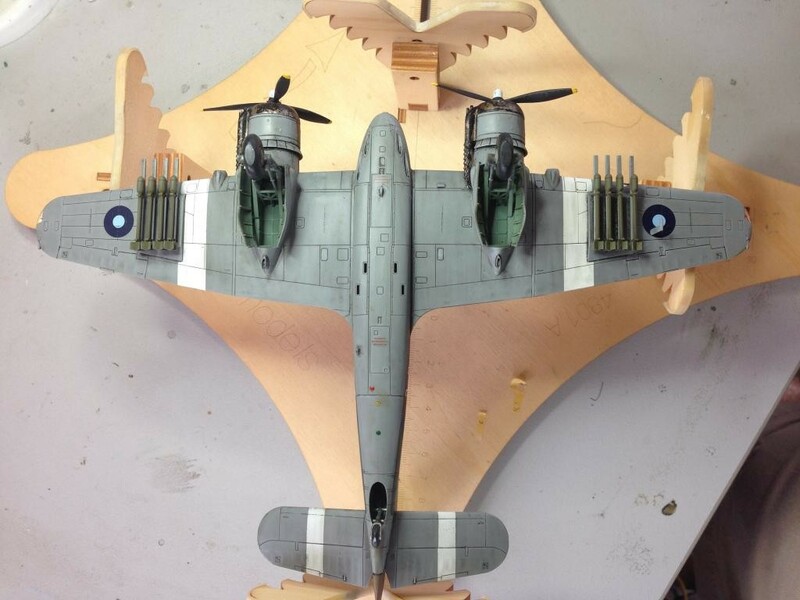 Very nice build! These new tool Airfixes are tempting. The chipping effects on the collector rings are absolutely masterful! Kent, this looks great, I’ve always had a fondness for the Beau, and checking a nice build like this is always a joy. “Very well done” ! 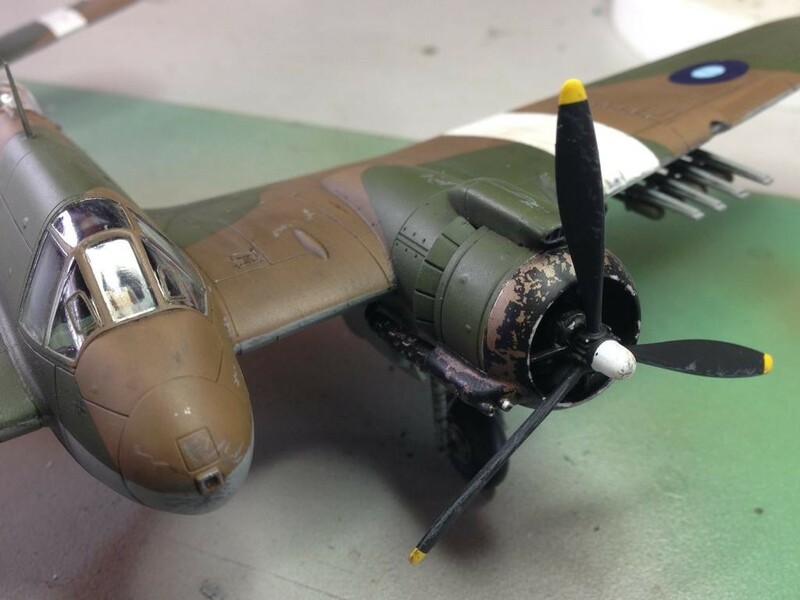 I’ve built the Hasegawa 1/72 kit and the Tamiya 1/48 kit, from the looks of this, it looks like it could be just as good of a kit, do you have an opinion/comparison ? Hi Terry, thanks for the compliment. 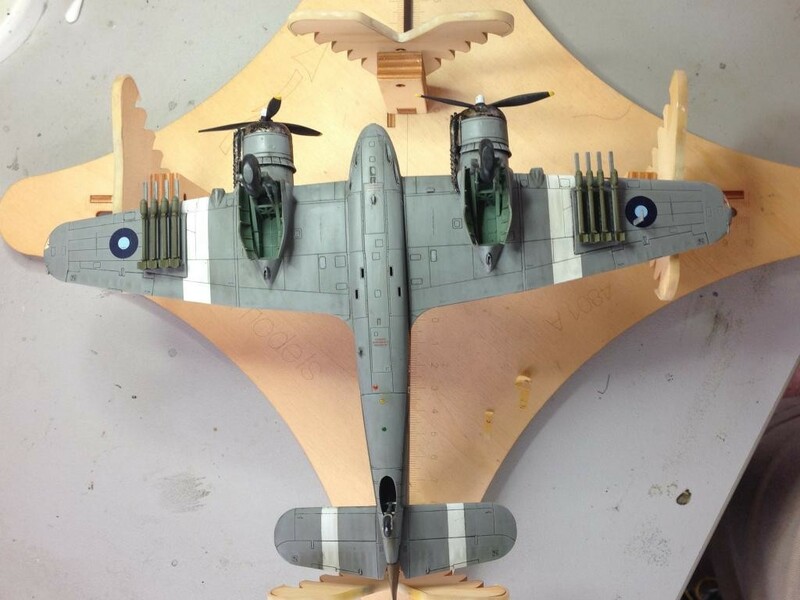 I have two 1/48 Tamiya kits in the stash with accompanying AM to build. Both look really nice and I am looking forward to getting to them eventually. 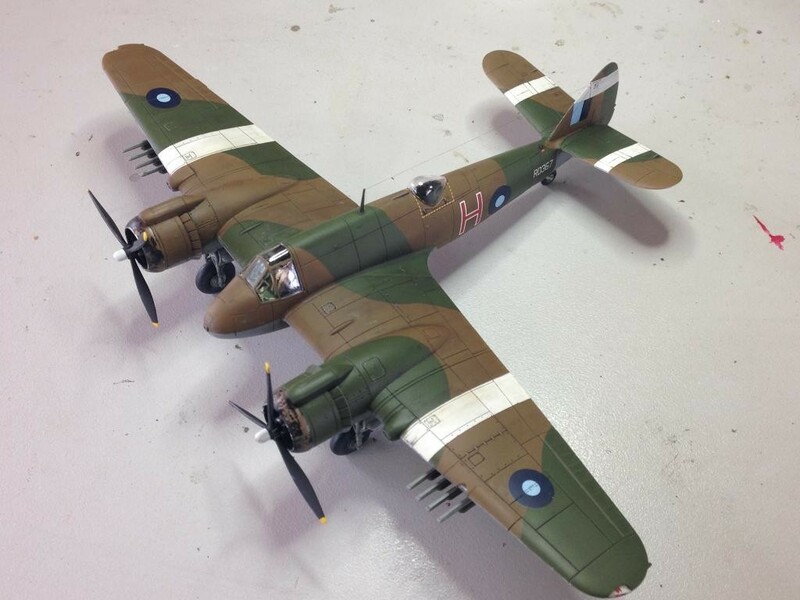 I have not built a 1/72 kit since my late teens so I have no experience there. What I can say is this is a well engineered, well finished kit to build but it is not without its traps for the unwary (engine construction). 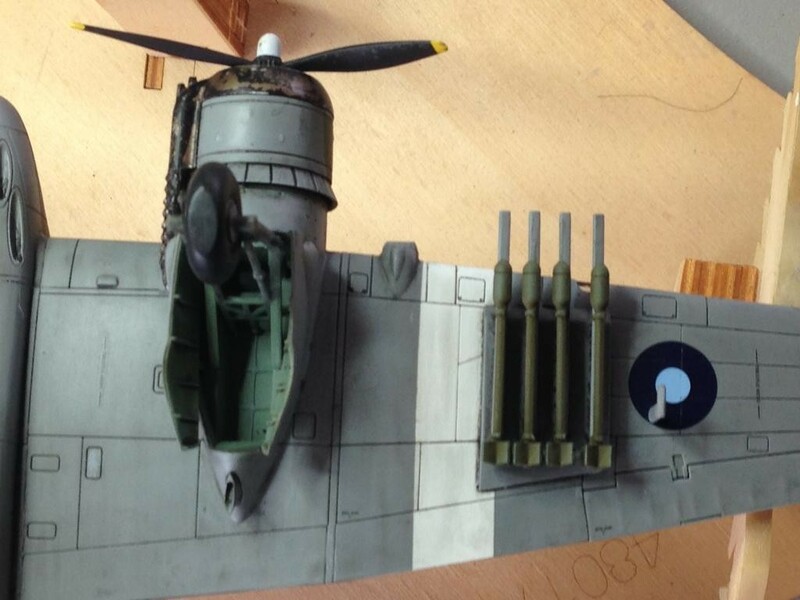 Airfix have come a long way in recent years in terms of product. 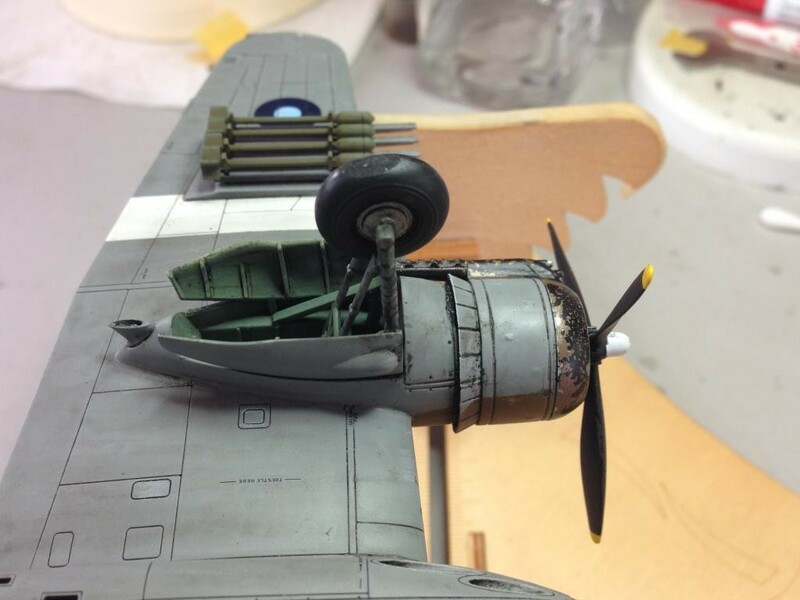 Of my recent 5 builds, 3 have been Airfix kits (I have the new 1/48 Defiant on the bench now) and each has been a pleasure to build. 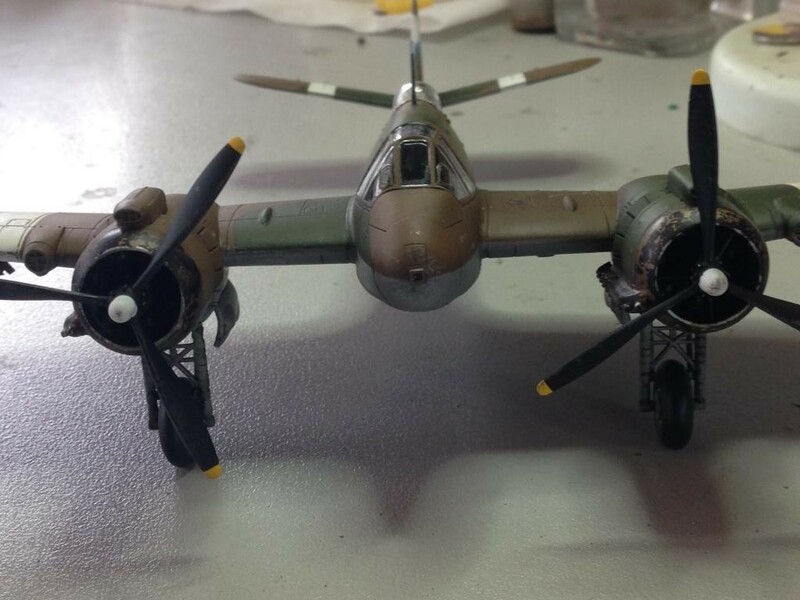 A very nice Beaufighter, great paint job ! 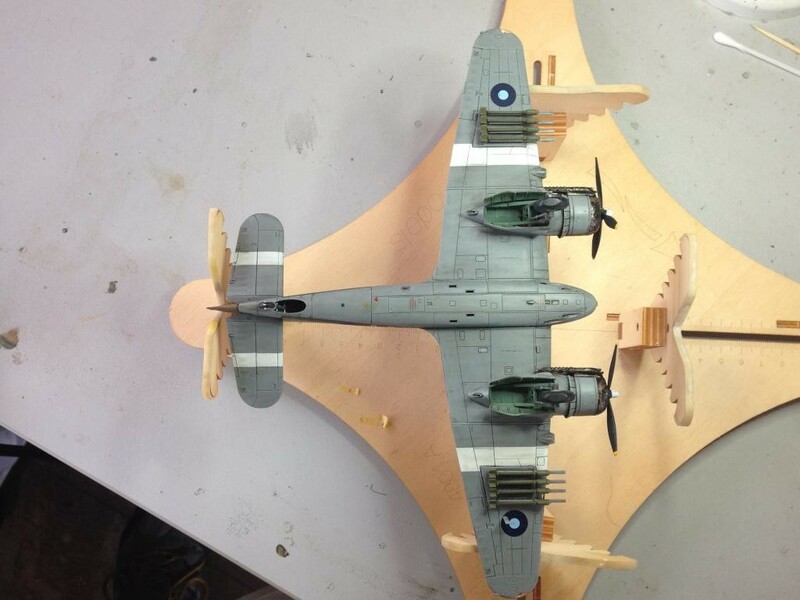 I vaguely remember having an original Airfix 1/72 Beaufighter (over 50 years ago! ), and have always liked the look of it. 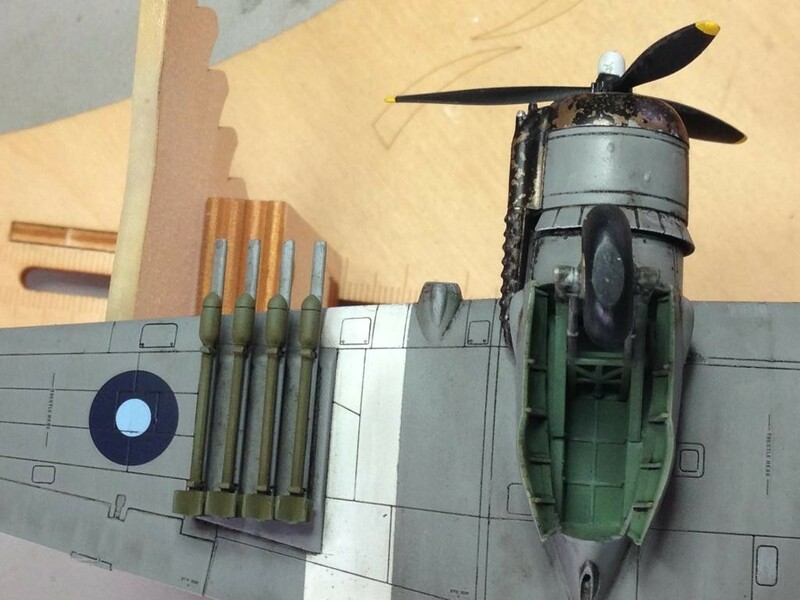 You’ve brought out the best of the re-tooled kit, it looks fantastic.